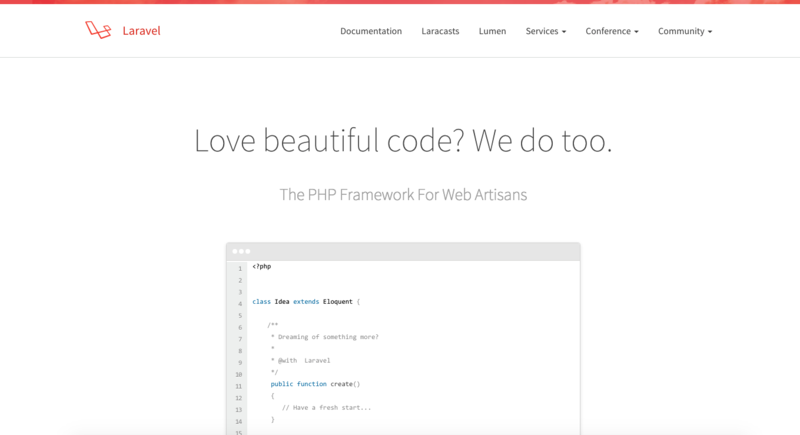 If you’re reading this, chances are you are already in love with laravel, you probably have seen a couple of advantages laravel has over other frameworks, seen a tutorial video or read an article that has sparked your interest in laravel. However, loving laravel is one thing, installing it is another. I personally got acquainted with laravel just before version 5 was released, but somehow I kept postponing diving into it, sadly, at the time I decided to, laravel 5 had been released and most of the instructions I found online for installation where either for a none XAMPP user or for version 4 for a XAMPP user and this was a pain! So you don’t go spend so much time looking for a solution like I did, I’ve decided to be your knight in shinny armor, here’s how to install Laravel 5 on XAMMP for Mac OS X.
OSX by default has PHP pre-installed, so when you install XAMPP, you’ll actually be installing a second PHP version on your MAC. Your Computer decides which to use depending on if internet sharing is on (System preferences/sharing) or if xampp server is on and apache is started. To know which version of PHP you system is using by default, open terminal, run “which php” without the quotes. Then quit and relaunch Terminal.app. to confirm you’re in the right place, type “ls” and hit enter without the quotes, compare the directory listing with the contents of the actual htdocs folder from finder, if they are the same, you’re on track. try opening http://localhost/laravel/public again, you should now see the default laravel page. If this didn’t work for you, leave a comment and I’ll get back to you as soon as I can! The OpenSSL library (0.9.8zc) used by PHP does not support TLSv1.2 or TLSv1.1. Thank you so much, its a great help. its works thank you save my times . I have installed laravel5 , so laravel folder is created directly at user account. bt .bash_profile is not yet created in Xammp so now how to create .bash_profile and how to add laravel folder to it? did you run the first set of commands? Best tutorial on laravel 5 that I have seen so far. Your composer.phar command lacks the flag for executable, or it is not inside the path. Thank you for such a nice help. I have installed laravel successfully and I have also changed the permission of storage folder but it does not show me laravel 5 page instead it is listing all the directories in there. Warning: This development build of composer is over 60 days old. It is recommended to update it by running “/usr/local/bin/composer self-update” to get the latest version. I have one question: After I am entering composer create-project laravel/laravel myproject i get command not found. thanks for writing in such simplicity and clarity. You didn’t define a global shortcut yet. Nice Article Frank. I have heard so much about Laravel this days. I am considering giving it a try. Thanks for this article. I am facing with below error when I done installation. I already has a MAMP 3 with PHP 5.2 running. I am not upgrade this PHP version because I have many web program/application still running in PHP 5.2. In another side, I want to learn Laravel. As you know Laravel cannot running with PHP 5.2, now I install XAMPP 7.1.1. with PHP 7.1., but I still get the laravel/public with the blank white page. If I create a file called .bash_profile as you suggested, is there are no problem with my MAMP? Maybe the public folder on your laravel installation is not accessible, this may be a permission problem. To fix this, go to your Laravel folder, right click on the folder and select get info, on the popup that appears, unlock changes by clicking on the padlock icon at the bottom right of the window, enter your Mac user login details to unlock. After unlocking, change the permission to read & write for admin and everyone, click on the settings icon at the bottom left, select “apply to enclosed items”, when done, close and try to access your Laravel installation again to see if it’s now working. I’ve already installed and used XAMPP few times. Now i wnanna start to learn laravel. I have created the .bash_profile , and followed all instructions after it. Then i reopen the terminal and run “which php” i don’t get this “/Applications/XAMPP/xamppfiles/bin/php”, i still got the same answer “/usr/bin/php”. Could you help me to solve this? Where’s the location of the .bash_profile you created? You need to run that bash_profile again. Then you will see the change. Hello Frank, can you help my with this ? Thanks this is very informative and saved my lots of time that I wasted already about searching how to do this job done! it was saying not found but as i replace the composer word with php composer.phar then its working. Hope above thing will help some one else like me. Thanks Frank, very useful. Clear and concise, that is the way it should be. and please is the file meant to come with a route.php file?